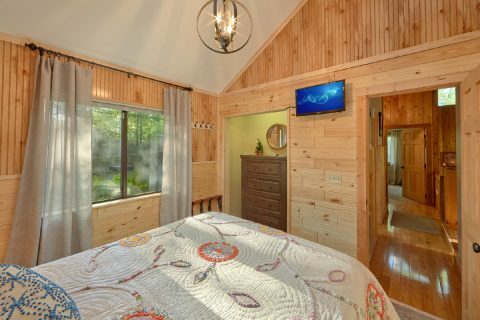 Nestled in the mountains near Pigeon Forge, you'll find "A Fieldstone Lodge," a comfortable 4 bedroom cabin that sleeps up to 12 guests in comfort! 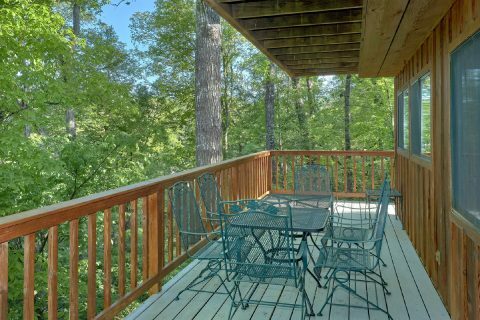 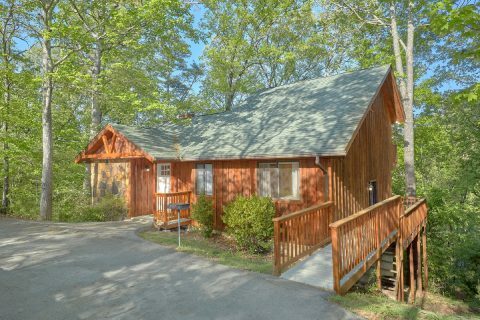 Not only does this cabin rental boast an excellent location only 1 mile from the Pigeon Forge Parkway, but it also provides guests with outdoor pool access courtesy of the Mountain Park Resort area! 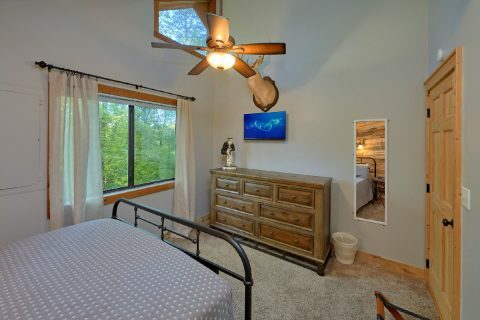 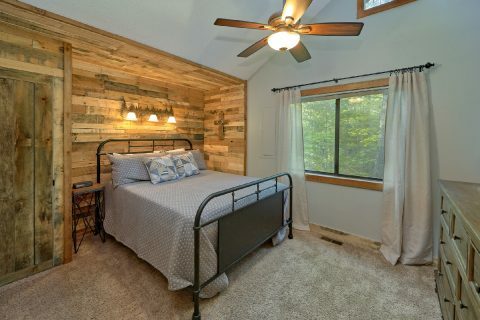 When you aren't busy exploring fun attractions in Pigeon Forge or relaxing by the poolside, you'll love unwinding at this charming, rustic cabin that has everything you need for a great vacation. 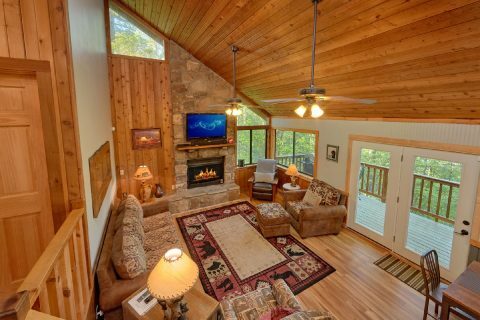 On the main level of "A Fieldstone Lodge," you'll find a welcoming living area complete with a television and a floor-to-ceiling stone gas fireplace. 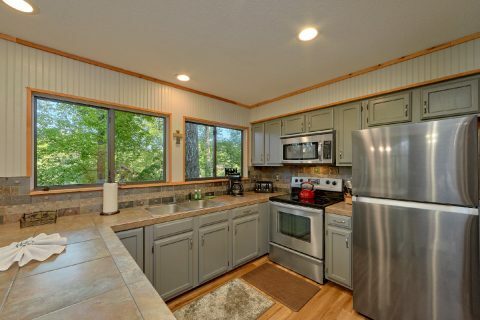 In the nearby kitchen and dining area, you can prepare and enjoy delicious dinners with the people who matter most. 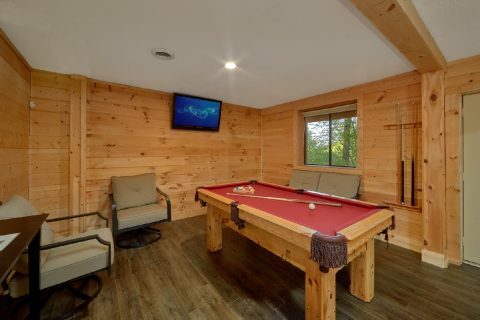 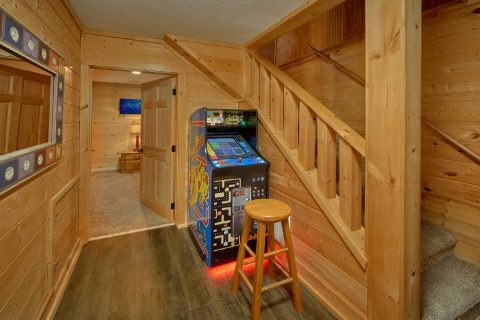 While there are tons of fun things to do and see in Pigeon Forge and the Great Smoky Mountains, your cabin also provides a game room, you can enjoy playing on the stand-up arcade game or the pool table. 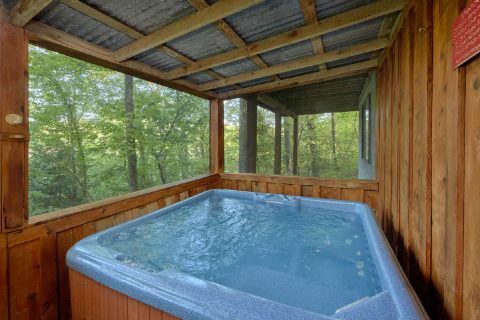 For some relaxation in nature, you can step outside to the lower level deck to take a soothing soak in the warm waters of your cabin's outdoor hot tub. 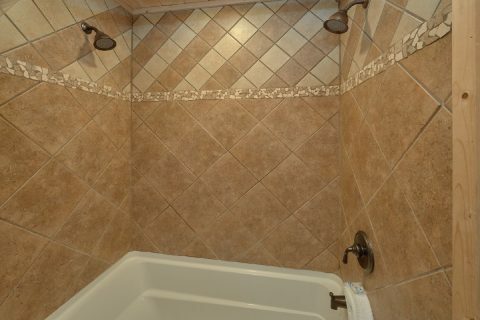 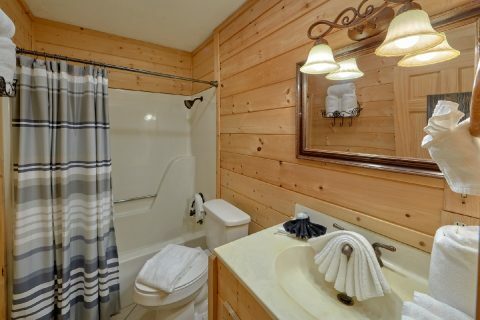 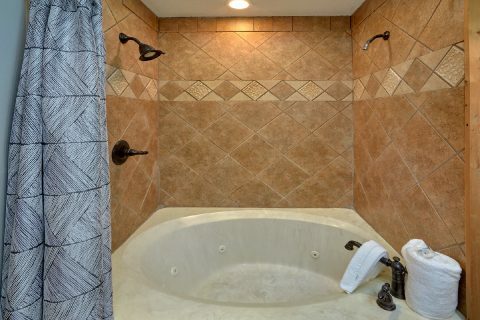 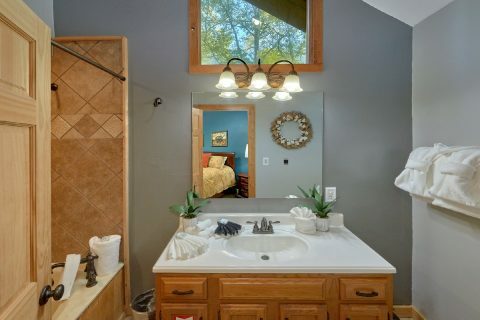 Additionally, this cabin provides an indoor jacuzzi tub for taking a luxurious bath in privacy. 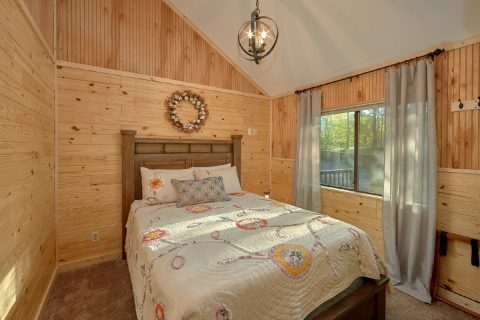 After a great day spent exploring Pigeon Forge or hiking in the national park, you can look forward to a restful night's sleep in one of this cabin's 4 bedrooms. 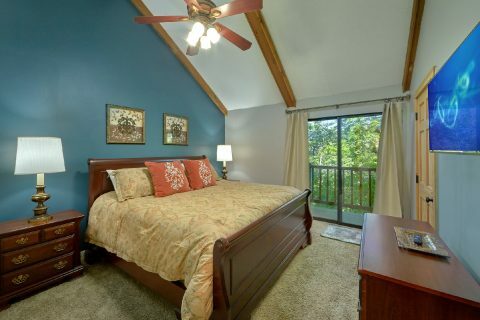 The main level is home to two queen bedrooms and the upper floor is home to a king-size bedroom. 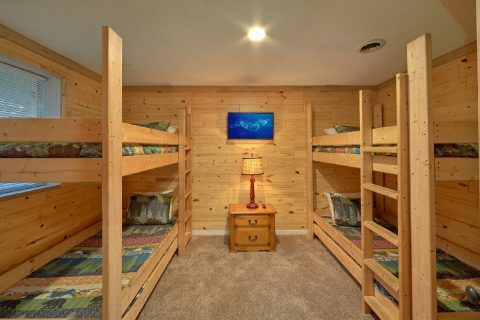 On the lower level, you'll find a bedroom with two sets of twin-size bunk beds. 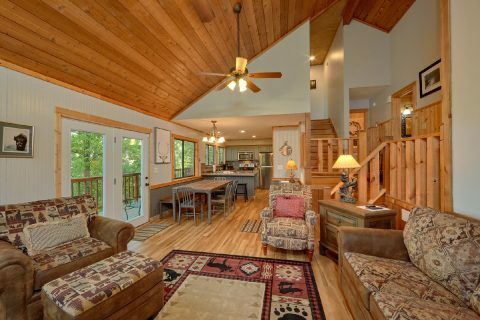 Lastly, there's a sleeper sofa in the living area to accommodate extra guests. 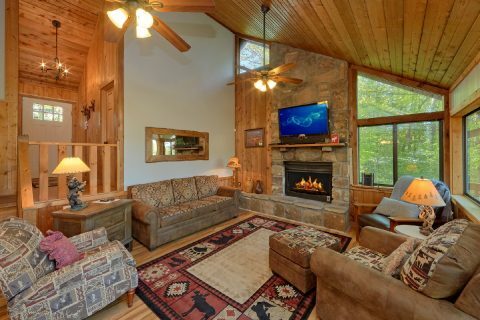 Altogether, "A Fieldstone Lodge" sleeps up to 12 vacationers, so it is just the right size for a family getaway in the Smokies. 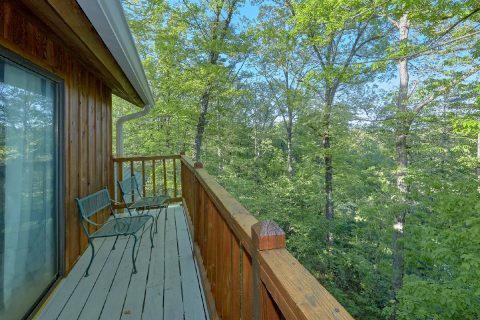 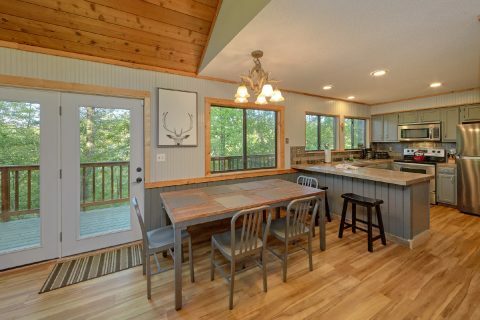 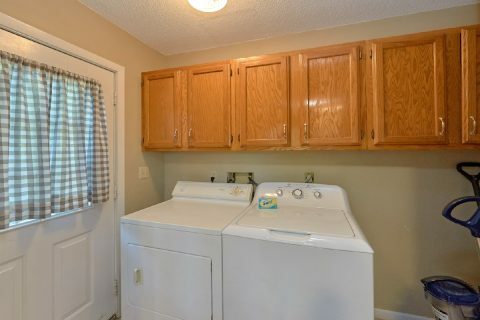 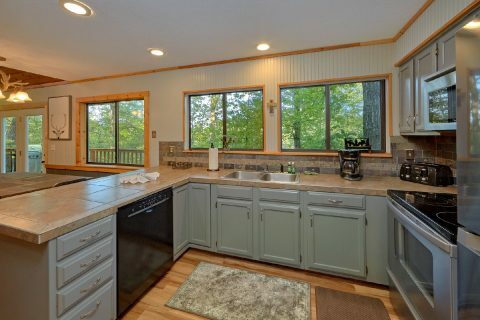 Additionally, this cabin is located close to several other properties that can be booked together for an excellent multi-cabin vacation in the Smokies. Feel free to contact our reservations office if you need more space for your group! 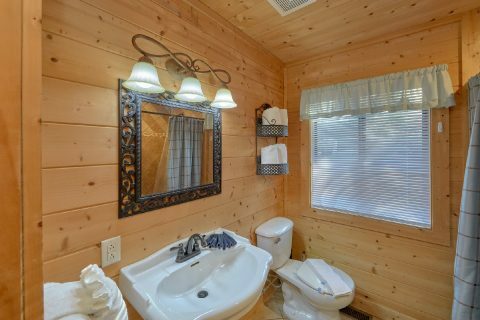 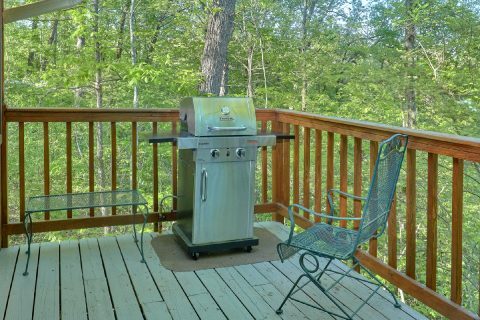 With useful features like WiFi Internet, a charcoal grill, a gas grill, and a washer & dryer, this cabin offers all the basic necessities needed to enjoy a relaxing stay in the mountains. 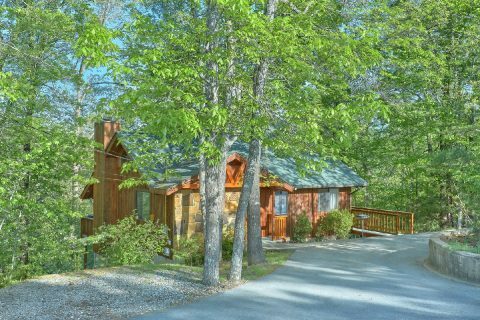 Book "A Fieldstone Lodge" today with Cabins USA Gatlinburg and you'll save 15% off your nightly rate with our cabin discount!